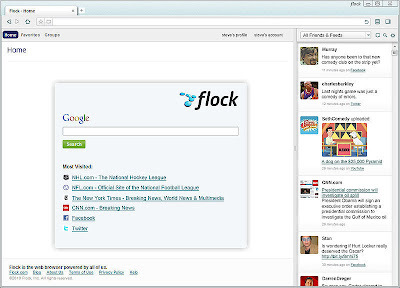 Flock, a web browser that mainly caters to social networking needs, just made a surprising move by using Google Chrome codebase for their latest Beta release instead of sticking with Mozilla Firefox, the browser that it was initially based on. This means that the next major version of Flock (Flock 3) will be entirely built on top of the Chrome platform. I was once a Flock user and even urged some of you to flock with me. That was more than a year ago, when Flock was still in its infancy and was beginning to get noticed. To date, Flock web browser has already been downloaded 7 million times and it has raised around $30 million in venture funding. 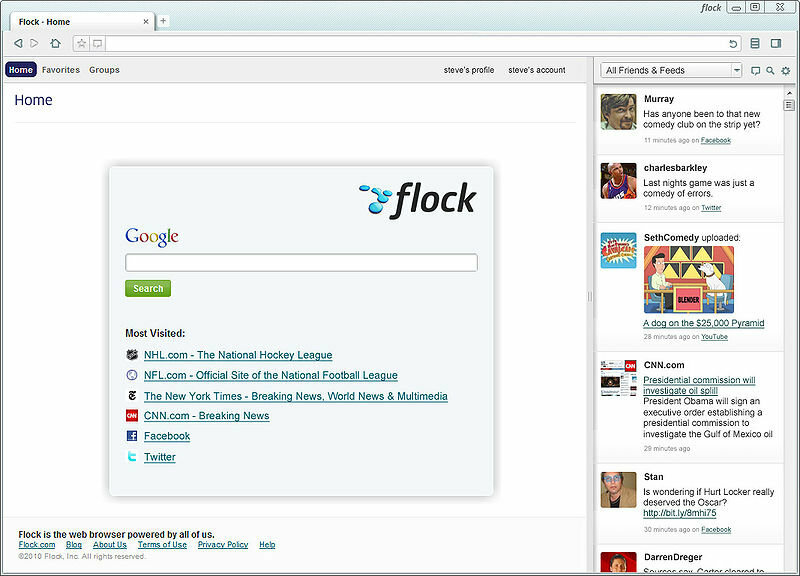 The Beta version of Flock 3 now has that trademark Chrome look with tabs located at the top portion of the address bar. Its main feature is still its integration of social networking, mail, and other media services that includes Facebook, YouTube, Twitter, MySpace, Flickr, Blogger, Gmail, Yahoo! Mail, etc. Though Flock is embracing Google Chrome, it is not leaving Firefox completely just yet. In a statement made by Flock CEO Shawn Hardin at TechCrunch, he said that they haven't stopped their development efforts on the Mozilla platform and that their upcoming release of Flock 2.1 is still built on it. "The browser space is heating up, and we’ve seen a variety of exciting technologies emerge over the last several months that are appealing", he added. It is now pretty clear that Google Chrome's exciting technologies are very appealing to Flock developers. I think their only problem is that majority of Flock web browser users have grown to like or love Firefox. So I wonder how will these users accept this major change.